The prospect of having a touchscreen ultrabook sounded like one that I would absolutely enjoy having. I use tablets and smartphones on a daily basis, so why shouldn’t my ultrabook incorporate that same technology so I could poke and prod my Windows 8 machine as much as I like. Considering Windows 8 was built with touchscreens in mind, it made absolute sense to me a touchscreen ultrabook would be a great idea. 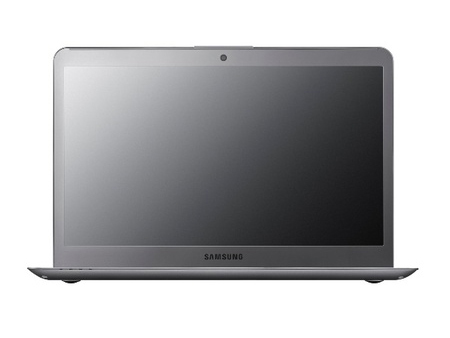 As an ultrabook, the Series 5 builds on what the previous edition offered, with the added touchscreen for Windows 8. But, do you really want to pay a sort of premium for that extra feature? If yes, this is a conventional ultrabook that does not disappoint. It is a fairly good deal for what it claims to offer. But, if the touch feature might end up being a less-than-often used feature, we recommend you pick up a previous Series 5 edition, with the same 13.3-inch display, for roughly Rs. 10,000 less. Positive: Beautiful, tough, light and thin design; aluminum and carbon fiber case; very bright screen; long battery life (7 hours). 84.67%: This rating should be considered to be average. This is because the proportion of notebooks which have a higher rating is approximately equal to the proportion which have a lower rating.